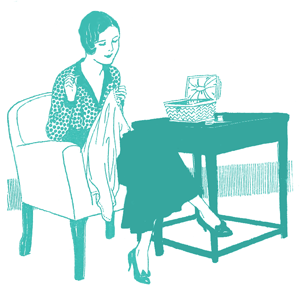 The Historical Sew Fortnightly Challenge #5 for 2014, due March 15, is Bodice. It’s pretty simple. 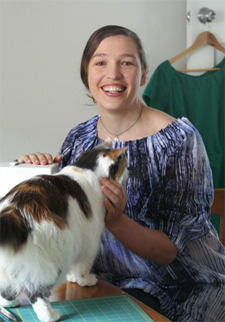 Make a bodice – a garment that covers the upper body. You can either abide by the strictest historical sense, and make a ‘pair o bodies’ for earlier periods, or a matching but separate upper half, in later periods, or can explore the idea of bodices in a more general sense. 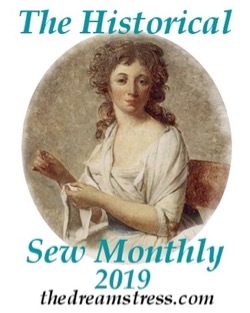 I’ll leave the ‘more general sense’ interpretation of bodice up to your judgement, but will explore the more historical sense, and how the definition and style of bodices have changed over time to give context and inspiration. 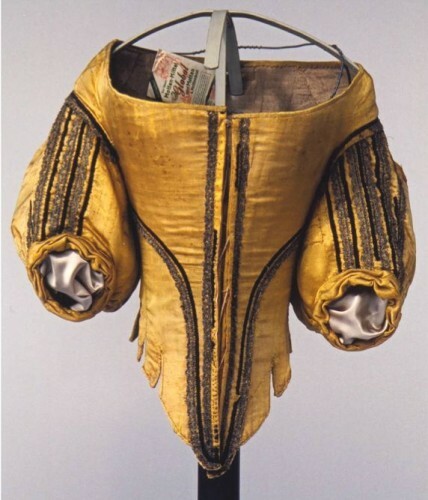 The word ‘bodice’ dates back to the mid 16th century, and comes from the term ‘pair of bodies‘ (or ‘pair o bodies’). The ‘pair’ was referring to the two sides of the stiffened garment which laced together. 16th century uses of the word bodice predominantly refer to women’s garments, but there are occasional descriptions of fitted, stiffened up garments for men as bodices. Early usage of the term also almost always refers to a garment with separate sleeves, whether it was stays, which would have a full sleeved garment put over them, or a garment with detachable sleeves. As the 17th century progressed a wider distinction arose between women’s outer garments for the upper body that were boned and stiffened in their own right (such as robe de cour bodices) and women’s boned and stiffened garments that were worn specifically as underwear under un-boned robed gowns (the mantua). 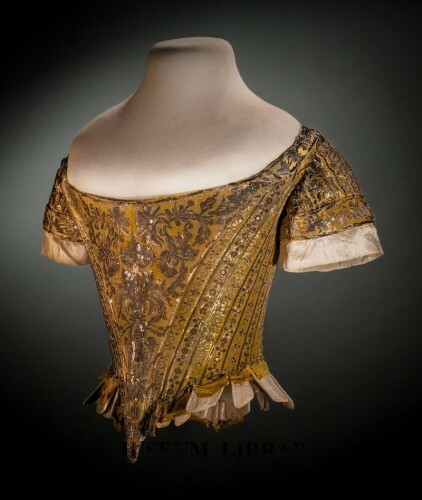 As the fashions progressed, ‘bodice’ became used only for the garments that were boned and stiffened in their own right, and not for the undergarments – the stays, nor for soft, unboned outer-garments, whether mantua or jackets. The STAYES, which is the body of the Gown before the Sleeves are put too, or covered with the outward stuff. BONING THE STAYES, is to put the slit Bone into every one of the places made for it between each stitched line which makes Stayes or Bodies sitff and strong. This meant that by the 18th century a robe de cour – literally called a ‘stiff bodied gown(or stiff bodiced gown, since the words were essentially interchangeable) was a bodice, but that a soft jacket such as a caracao or pet-en-l’air, worn over a set of boned stays, would not be considered a bodice, and the term bodice almost always referred to an outer-garment, where stays would be used for an under-garment. This distinction morphed as fashions changed at the end of the 18th century. 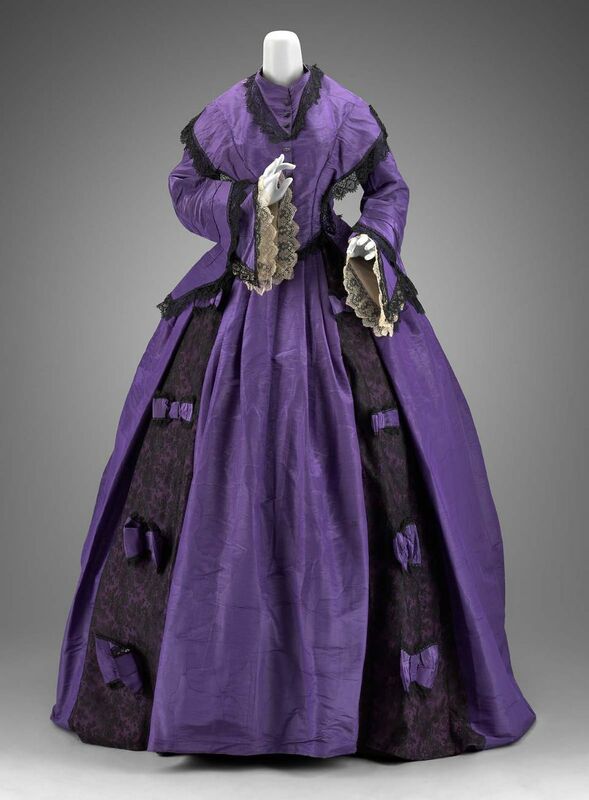 Late 18th and early 19th century fashions were so exclusively focused on full gowns, with even court dress, though it retained the proscribed hoops and feathers in England, made as one gown, that there were few things that were described separately as bodices. There are occasional sleeveless spencers that fit the 18th century definition of a bodice, albeit one without boning, and one which would be worn over a full gown. Instead, it is in this period that bodice begins to be used as a generic term for the upper half of a women’s outfit, so that in the 1820s a fashion plates might describe a dress with an ‘Anglo-Greek Bodice’ to indicate a style made with fichu-robings for day or evening wear. Between 1810 and 1820 ‘bodice’ made a brief return in menswear, in the form of the ‘Brummell bodice‘ – the men’s stays worn by fashionable dandies, after Beau Brummell. By the mid-19th century, bodices were once again woman’s exclusive provenance. 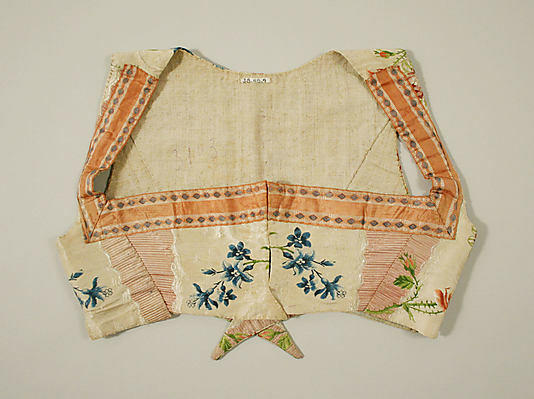 While the generic description of bodice as anything in the upper half of the garment was here to stay, the term did was more commonly used to refer to a separate but matching upper garment, which would be attached to the skirt with hooks when worn, creating the appearance of a one piece garment. 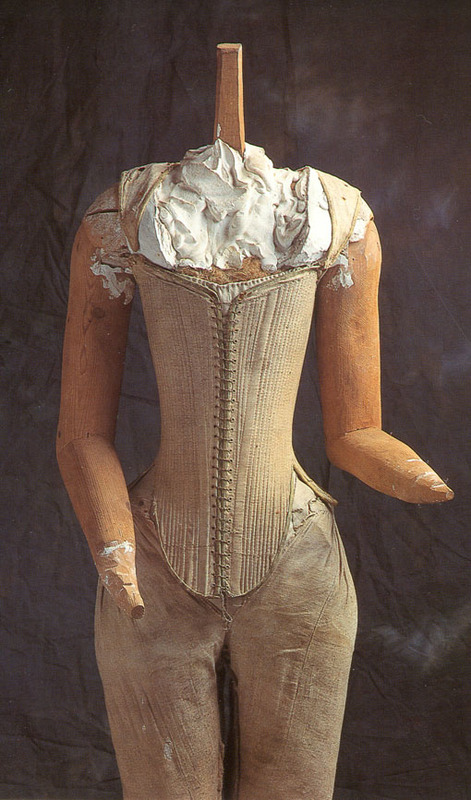 These garments were usually boned, and can be seen as a descendent of the stiff, laced 18th century bodices. 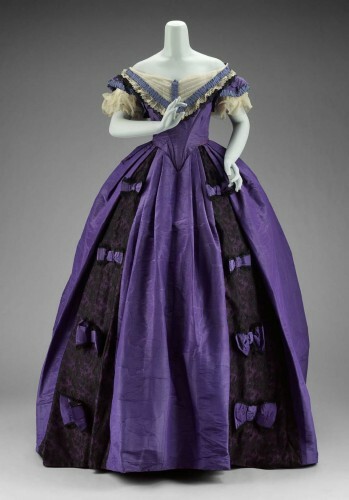 However, unlike their earlier counterparts, the new distinction between day and evening fashions allowed dresses to be made with one skirt, and two bodices: a low necked one for evening wear, and a high necked one for day wear. Fashion magazines gave suggestions for both full ensembles, and for bodices which might be paired with any skirt design. It was possible for a skirt to have a matching bodice, and for a woman to then purchase other, separate, unmatching bodices to go with it. It was only with the development of the waistline-less ‘Princess Dress’, and the return of one-piece gowns worn for anything but the most informal wear, which began in the late 1870s, that the bodice began to see a decline. It lasted until the early 20th century, but with the revolution in fashion in the 1910s and 20s the bodice as a separate garment disappeared almost entirely as a fashion term. Instead, we wear dresses with bodices, or shirts and blouses. 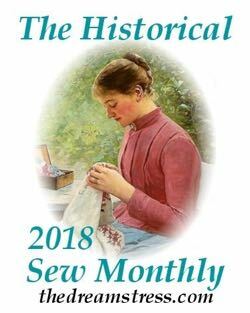 Only in the vocabularies of seamstresses (“I took the bodice from pattern A and the skirt from pattern B”), the occasional special-occasion garment with a separate bodice, and in specialised regional dress (dirndls etc.) does the bodice remain relevant. Riberio, Aileen. Dress in Eighteenth Century Europe 1715-1789. B.T. Batsford Ltd: London. 1984. Mansel, Philip. Dressed to Rule: Royal and Court Costume from Louis XIV to Elizabeth II. Yale University Press: London. 2005. Hurrah! I like to hear that people are excited about challenges! I’ve always been fascinated by the Effigy Bodies, because I can’t imagine a real person’s rib cage fitting into them and I assume this must have been an idealised torso shape. And yet, all the pictures I’ve seen of Elizabethan women’s fashion show a normally proportioned bustline even when the waist appears to have been exaggerated. elizabethancostume.netBased on Arnold’s analysis of them, they probably were real women’s stays – not just ones made for the effigy. And there have been a number of successful reproductions, like Drea Leed’s pair. I think years of squishing, and exactly the right body, would get you to it. You should try making your own reproduction so you can find out for yourself! I can see the historical pair would require exactly the right body, but I think it would be quite a comfy shape if you could get it round your chest. Drea’s version looks great. But it does boggle my mind to think this garment was made for a real woman. I kind of want to make a Brummel bodice for this one. Do you think it would work even though I’m not a guy? From the pictures I’ve seen it did make the men a lot more female shaped. I do love Regency men’s styles. I also love the term “the outward stuff”. I hate calling it “fashion fabric”. I look forward to seeing what you come with – I’ve been wondering about trying the same thing myself. Love those cutaway coats! Oh, I love your overview terminology posts! They’re always so informative (for me, as an ESL user, twice over) – and this one was no exception! 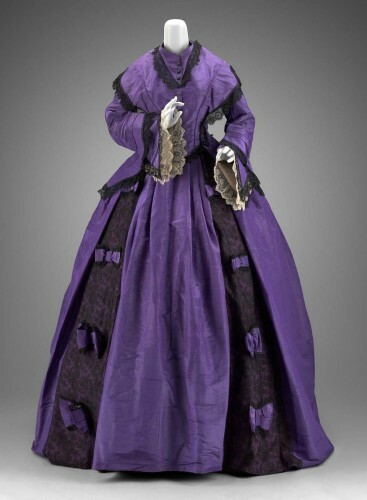 Interesting that it would be all full gowns at the turn of the 18th and 19th centuries. Or rather, interesting that it was and I never realised how abnormal that is. What a fabulous lesson in terminology! Thanks, as always. 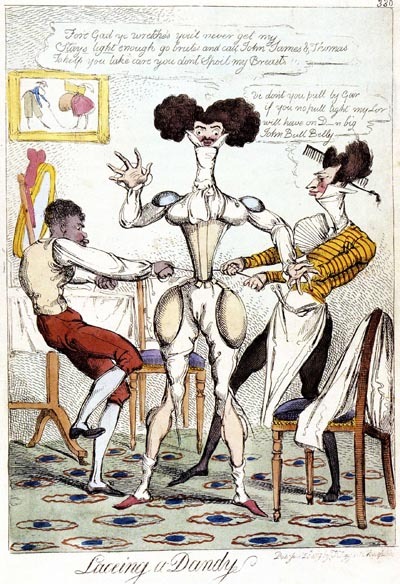 The Beau Brummel bodice was news to me…nearly snorted tea at the cartoon. It made my day. I have a bodice I’ve been wanting to make, and I think it’s time has come! SO helpful! Thanks a million!! I think it will have to be 1840’s day dress bodice….I have the most delicious antique buttons that are calling to be put on a bodice. I handsewed a pink floral on blue 18th century jacket. I made a pair of blouses! Those are so adorable! I particularly love the yellow one (of course!) Sadly, I can’t comment on your blog because of your settings, but I hope you come back and see this! I made a bodiced petticoat for this challenge. It was a lot of fun. With these challenges you can choose how big or small you want the challenge to be, given your own personal time constraints. Goodness! I did have my project done on time- just didn’t come and comment to it! 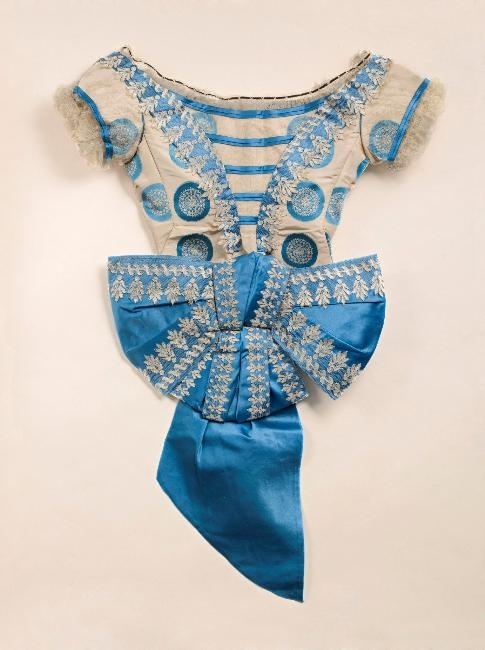 A 1900 inspired corset cover.